From 2004 to 2010, he worked as an advertiser engaged in both and the brand director at a big consuming goods enterprise having 4 billion in assets. On April 2013, he began the startup and undertook the founder of one WeChat official account named “Short Reading”. At 2014, he launched the Matchbox App and Chaifei App. Till present, the Matchbox has received millions of financing. Matchbox, an interest-based social networking App, can be used to share heart-touching things, such as a song, a text, a poem or just a word. It’s meant to take 10 minutes every day to ignite the light of your inner side. This can also be helpful for finding those who share common hobbies with you, adding much more fun to the life. This post will guide you through the story and design concepts behind the Matchbox team, shared by its CEO - Mr.Miao. 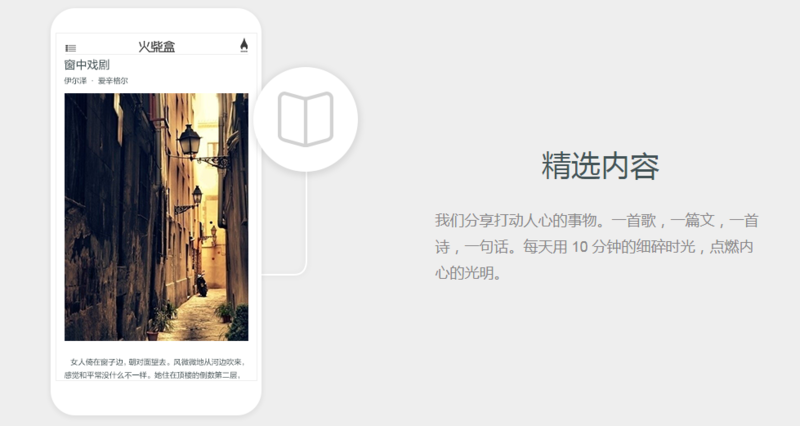 Not long before the interview of Mr. Miao, there was an article discussing “Why QQ (an online chatting App in China) has gotten its place”, and one reason mentioned that it’s the the nature of people is to enjoy the fancy things and food. When it recognized that people can start talking with other strangers and even having a tempting online dating, this App has taken its place in a subtle way. 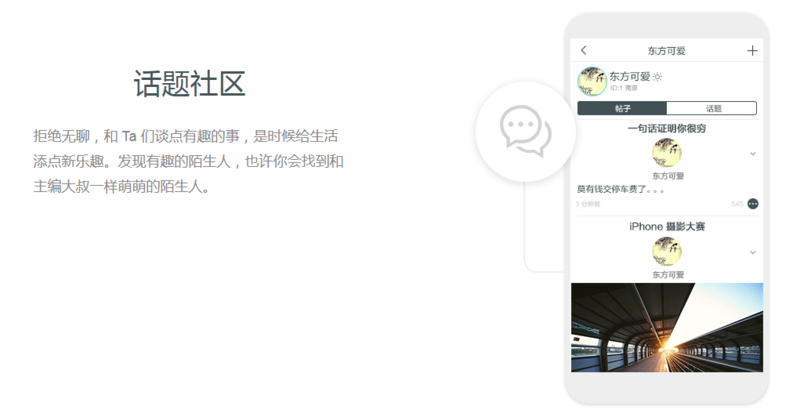 To some degree, it stands for the new era of communication between people, followed by many other apps like WeChat trying to encourage and inspire people’s desires. However, those Apps fail to have ground-breaking impact in the pursuit of being the King of the social field. Now, let’s get back to the topic. It’s quite easy for us to foresee the future of the stranger social at the first sight of Matchbox App. However, there must be a certain basis for the strong spirit of exploration of stranger socialization, such as the common hobbies, interests and so on. In fact, the Matchbox emphasizes more of the social networking, bringing together the people sharing mutual characteristics. This makes the purpose of communication much pure and simple. The mission of this App is to find interesting people and content around to start communication and to gather a lot of interesting people. There is a saying goes “Although we can be missing someday, you know that I have been moved by you”. The interpretation of Zhiwei Miao towards these words is that most of our emotions are temporarily raised and owned, so even when it’s in the parting ways, there should be some compassionate moment followed by empathy. This is just the reason why we will be gathered together. D: Why is it called the matchbox? M: Cause it’s easy to remember and symbolic, with a little bit of hint. D: From your experience, you have been in the marketing industry for 7 years and had a deep understanding of market demand. What has inspired you to do a product like Matchbox? M: In my past content sharing occasions, I’ve built some groups on QQ where the joined members sharing common interests can chat together pleasantly. From that moment, I developed my interest in strangers social. D: In the design of Matchbox App, what aspects have been given more attentions to? M: We focus on the personal taste, ease of use, concise, details, along with some symbolic convey. In the case of personal taste, users will be asked to choose more than 3 topics that they are interested in the initial registration. Then, we will recommend the people and topics that they may like based on the collected data and algorithm. D: I’ve seen that each post is separated by simple line, which makes the overall design clear and clean. M: Yes, it is. We are inclined to use the simplest solution, and even a comma can be needless sometimes. The screen size of our mobile phone is small, which requires us to let users see the most important information easily and quickly, without other distractive elements. However, a downfall is the pictures and text have taken much space, which provides an opportunity for annoying advertising. Henceforth, we’re considering doing an anti-spam system, which still needs improvements. Zhiwei Miao said that the average retaining time of users is 20 minutes every day, while the timeline is the page where users will retain in the longest time. D: In the future, how will the Matchbox work? M: To encourage the original content and contributor, our App will work in a way of allocating the traffic to help users increase followers. Besides that, there will be some certifications. Matchbox is mainly focused on the simple and light-weight design, which just responds to the flat design where extra things should be prevented from disturbing the users. In addition, the animation effect of igniting the match has highlighted the text and picture design. The launch page and the name of this App are mainly divided into two columns - “Friends” and “Happy”. The former is used to view the friends’ moments, while the latter is to check the interesting topics/content. This helps to add a “Literary” taste to this App, making people fall in love with it. The design of Matchbox is relatively simple, and you can quickly make a prototype like it in just minutes using a rapid prototyping tool like Mockplus. Why not give it try?